In the March 31 edition of the Town Common there is an informative article written by Jennifer Grybowski about reinvesting in the towns tourist district. The tourist district runs from the Old Sturbridge Lodges next to Friendly's on Route 20 to Route 148 to the west. A district just about a mile long. A revitalization study finished in December 2009 had many recommendations for the area, such as the area should be pedestrian friendly, cater to tourists, offer a variety of shopping, restaurants, and lodging. The study also recommended family entertainment during the day, and at night, some way to enjoy the natural water resources either passively, or actively, and adequate parking within walking distance to everything. The study recommended planting more trees, and expanding landscaping, placing the utilities underground, reducing curb cuts, and increasing sidewalks for pedestrian safety. The plan to implement the recommendations is now in effect. According to Jean Bubon, " There is a good energy associated with the project because so much is going on. We have people volunteer all the time, but we also have a lot of new faces getting involved. People are feeling positive." The town planner also mentioned a survey done by both the Chamber of Commerce, and Old Sturbridge Village that revealed a lot of those of living in town already knew, that the world outside of the Village is somewhat disenchanting to visitors. An ugly, four lane highway running through town is one thing that contributes to this feeling. I imagine that the empty buildings, closed shops, and ancient, unattractive infrastructure are some other things that add to that feeling. 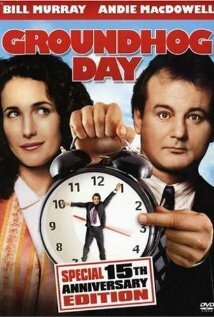 It is like the movie "Groundhog Day", we have read all the recommendations before, for decades. The Master Plan of 1988 was an exercise in futility. The new Master Plan, is hopeful. I hope it is implementable, too. All of the recommendations have been written about before. I hope the "energy" to make things better in town is infectious. I do see signs of improvement despite the closing of restaurants like "420 Main", and New England Graphics closing, and moving to their main store in Auburn. The Whistling Swan has been sold and purchased by a group intent on making it a winner. The same group is responsible for the newly restyled Cedar Street Grill. We've dined at both, and they are both winners. The real sign that things are getting better is the old Ames Store that has been vacant for years is now alive again with not one occupant, but two! Ocean State Job Lot took half of the building, and the Tractor Supply Company took the remaining half. Empty, unused prime real estate finally being used again. Long term tenants, too. They will draw folks to the remaining stores in the plaza on Route 131, too. It is more than a win / win for the plaza, it is a win / win for Sturbridge, too. I really do hope the studies will lead to the improvements they suggest as being vital. There has been too much rhetoric, and promises over the years offered up by many that didn't have a clue as to how to implement those changes. Election day is on Monday, April 11th. When you have that ballot in your hand on Monday, look at the names listed, and choose those that you know have a clue. I have a problem with all this talk of "traffic calming" on Main Street in Fiskdale. I'm all for having a reasonable rate of speed enforced. Trees in the median, parking on the streets, and changing the "four lanes" into something less seem to me to be ill advised. There are reasons for the traffic pattern to have evolved into what we have now. One of them is the Brimfield Flea Markets. If memory serves me correctly, we had a terrible accident on Route 20 several years ago, during Flea Market season, on the stretch of highway that has now become 4 lanes with traffic lights. A policeman, who I believe was directing traffic there was struck. Trees in highly traveled areas block the view and are dangerous in areas where cars may be crossing, as one would cross coming from the west and turning into the driveway for the Host or one of the other businesses in that area. Trees would also prevent us from seeing our neighbors or tourists who decide to scoot across the road. As far as the parking idea I've heard proposed, which would have cars parking on Main Street in Fiskdale, you've got to be kidding. I think we've been there and done that long ago and even way back then it caused problems. Route 20 in Fiskdale is a major state highway, and we need to respect that. Unless someone has lots of money and can get the state to build an alternate route to keep some of the traffic away from the area...but, wait...if we keep the traffic away, we keep the tourists away...and the restaurants, gift shops, etc. get less business, and we defeat the purpose. Right? The only off road parking I've heard mentioned hinged on getting the owner of the 1738 House to allow public parking there. That doesn't sound like a good idea to me. Number one, why should he do that, and number two, wouldn't that be inconvenient and perhaps more dangerous for the people who live at the 1738 House? Those of us who are "older than dirt," and have lived here "forever," remember what Route 20 was like long ago, and we know why the changes were made in the years since most families in these parts were 1 car families, some of us had no cars, and many of us took the bus. Even the thought of a local bus seems almost impossible today. The thought of "traffic calming," other than enforcement of the rules of traffic and posted speeds, just sounds like going back to traffic jams which blocked the passage of ambulances and fire trucks, etc. many years ago. We need to keep the roads open. Lives depend on it. Great post Wally. Thanks for taking the time to deliver a good message.